As a client, you will enjoy personal assistance from an experienced independent agent as well as receive fulltime support for all of your insurance needs. Our Lakeland insurance group will help you build the most complete insurance portfolio for your world. We assist in identifying stellar insurance coverage for life, work and family at competitive prices. Our agents focus on developing long-lasting relationships and doing what is right for you, not the insurance companies. Drawing from some of the top insurance companies in the nation, we help develop the insurance packages that meet your specific needs. Carrying the right amount of coverage is essential to protecting you and your family belongings with solutions that fit your lifestyle and your budget. 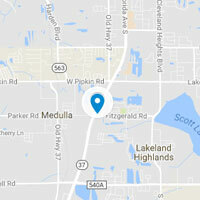 Searching online for Lakeland home insurance? We help you protect your home and property from fire, hurricanes, vandalism, and more. With home insurance from Shapiro Insurance Group, you will always be ready for the unexpected. For an incredible selection of plans that protect against all perils, stop by our Lakeland insurance office today. Even the most careful drivers can unexpectedly be involved in an auto accident anytime they hit the road. Our Lakeland car insurance agents make sure you can afford the costs of auto repairs as well as have the medical care you need following a collision. We can also provide affordable protection for your boat, watercraft, motorcycle, motorhome, RV or camper. Do you know the best way to protect your business from property damage, theft or liability risks? It starts by choosing quality business insurance packages from our Lakeland commercial insurance group. We're not tied to a single company. For local companies, that means we can help protect your investment from financial struggles while your business grows. Affordable term life insurance from Shapiro Insurance Group in Lakeland FL lets you protect what matters most to you. We are a full-service independent agency that can save you hundreds on a competitively priced term life or whole life insurance policy. Built on a foundation of experience and trust, our agency is committed to providing the attentive service you deserve. I left a bad review for this company a couple of weeks ago by mistake. This is not the bad insurance company that I meant to leave the bad review. I want to apologize to Shapiro Insurance group if I caused a lost of business for my mistake. Mr. Shapiro's company is the company that I use for my auto insurance needs. The customer service his staff provides is second to none. Mr. Shapiro's staff always will go above and beyond to insure their customers are getting the best possible coverage and quotes. Thank you Mr. Shapiro and I truly apologize for mistaking a world class company like yours for an inadequate company that I thought I was leaving the negative review. Please inform your staff that I truly was mistaken.